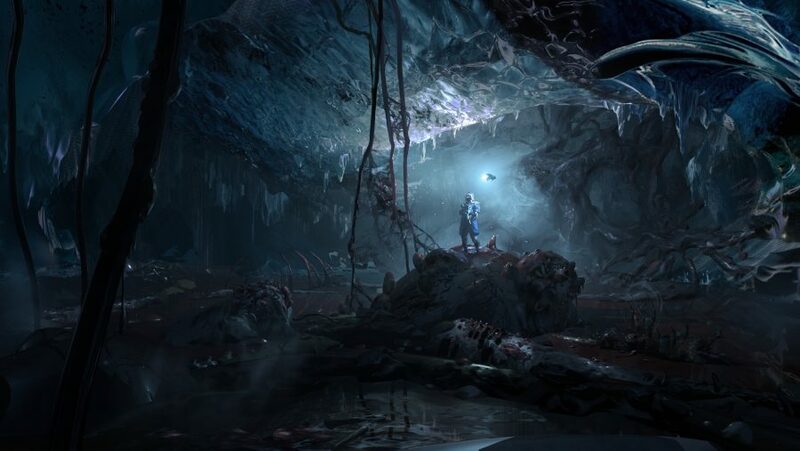 Scavengers is a game that drops you into a near-future, mid-Ice-Age Earth, where you and teams of other players compete to find the best loot in a world filled with hundreds of AI enemies. It comes from a studio made up of ex-343 Industries staff, including the former studio head and creative director Josh Holmes. 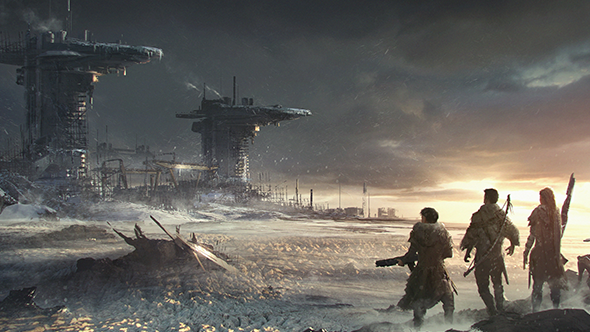 Scavengers is powered by revolutionary technology called SpatialOS. While Midwinter aren’t getting deep into how the game will work, they say in a press release that it follows the design of Halo 5’s Warzone mode. In Warzone games players would spawn in on two teams and while trying to capture the opposition’s base, also deal with AI enemies spawning into the map, killing anyone that got in their way. 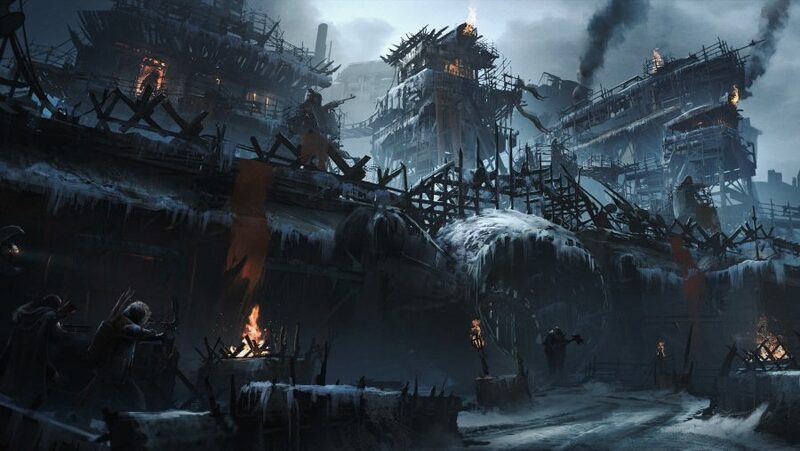 Scavengers will also see players split into teams, but it sounds like the teams will be less fixed to a single position, and will instead explore a large map as a small group. Guessing from the game’s name, they’ll be looking for loot. Set in an ice age and alien invasion, you’ll have deal with mutated enemies, desperate survivors, and bandit factions. You’ll kit out your scavenger with loot you find exploring the wilds, find and join up with other players, and take on the AI factions (while always keeping an eye out for treacherous human players). While Scavengers is being built in the Unreal Engine, its online architecture is powered by SpatialOS, a system of cloud servers that can support many hundreds of AI entities and players existing in the same world. Improbable, the makers of SpatialOS, are actually providing some project funding for Scavengers, so we can expect the game to show off what the server architecture can really do. “We’re passionate about making the next generation of online games possible and we’re taking steps to help studios with outstanding teams and exciting visions make games that would have previously been impossible,” Improbable CEO and co-founder Herman Narula said in the press release. “Often, innovation comes from studios like Midwinter: talented, experienced designers and developers with a track record of delivery at major studios, who want to create something truly groundbreaking. 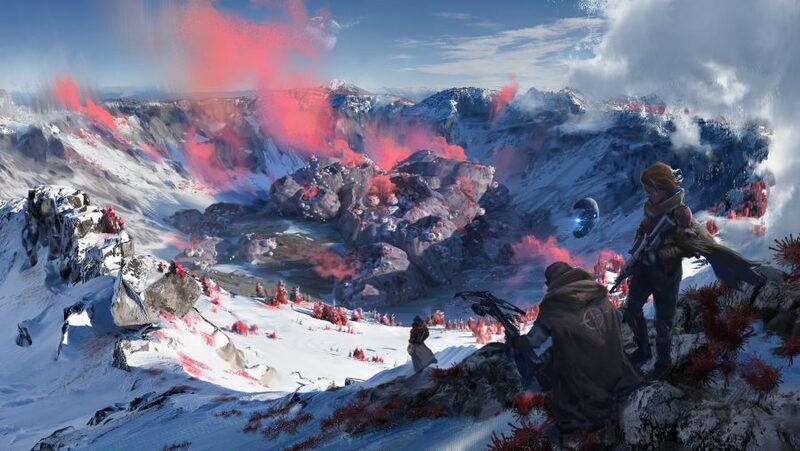 Midwinter will be talking more about Scavengers at GDC so we should learn more about how it works there.